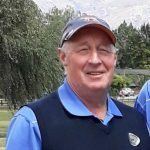 Northland is the new champion of New Zealand golf having beaten Auckland by 4-1 in the final of the men’s Toro interprovincial teams tournament on the Clearwater course in Christchurch yesterday afternoon. It is the first time Northland have won the title in the events 68 year history. The result of the final was a reversal of the sixth-round match between the two teams which signalled Auckland as the favourite to take the title. 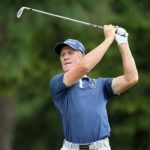 Auckland No1 Jared Edwards was the only player to post a win for Auckland while Northland’s Dale Clarke and Kadin Neho both won by 4 and 3. The Northland tail fought hard in close tussles, with Taylor Gill and Alex Neely grinding out narrow wins on the final green. In the morning, Auckland edged ahead of Wellington by one game with its top two players, Jared Edwards and Jang Hyun Lee, losing their unbeaten records losing to Daniel Hillier and Kerry Mountcastle respectively. Northland wes too good for the local Canterbury quintet in the other semifinal, getting home with three wins and one half. Former professional and Canterbury No3 Andrew Green was the only local winner while at No5, Mike Toeke ground out a half with Neely. Otago finished third in division two and sixth overall but can only lament some of its results which cost the team a place in the playoffs. Both finalists came from Otago’s division and the team beat the Toro winner by 3 to 2 in the second section round. 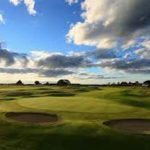 Otago also gave Auckland a run for its money in round three with two losses and one half in matches which finished on the 18th green. But halving with Taranaki in the first round and losing to Southland on Thursday morning cost the team any chance of taking its first title since 1982. Northland 3.5 beat Canterbury 1.5. (Luke Brown beat Matt McLean 1up, Dale Clarke beat Hiroki Miya 5 and 4, Kadin Neho lost to Andrew Green 3 and 2, Taylor Gill beat Kazuma Kobori 1up, Alex Neely halved with Mike Toeke. Auckland 3 beat Wellington 2. Northland 4 beat Auckland 1.